This deceptively simple incalmo scent bottle was made by Michael Hunter for Twists Glass. 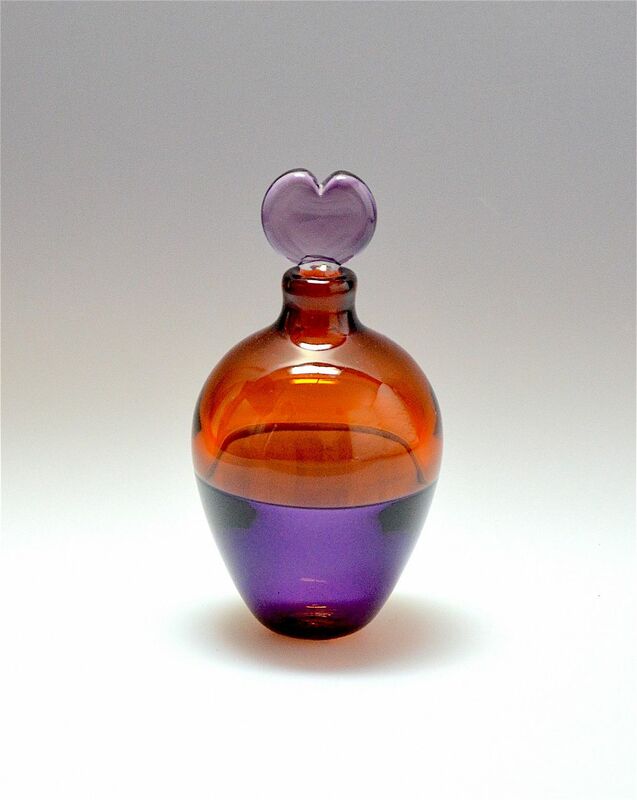 The bottom layer is purple glass with an orange glass top layer and a purple heart shaped stopper. This is an early piece but for the first time in 11 years I cannot decipher the date that Mike has scratch signed on the base! The base is scratched signed "M Hunter Twists" with a undecernible date and has the Twists Glass studio label. I have always loved the elegant simplicity and the depth of colours of these scent bottles.